Solid brass casting with antique brass finish. Rawhide pull. 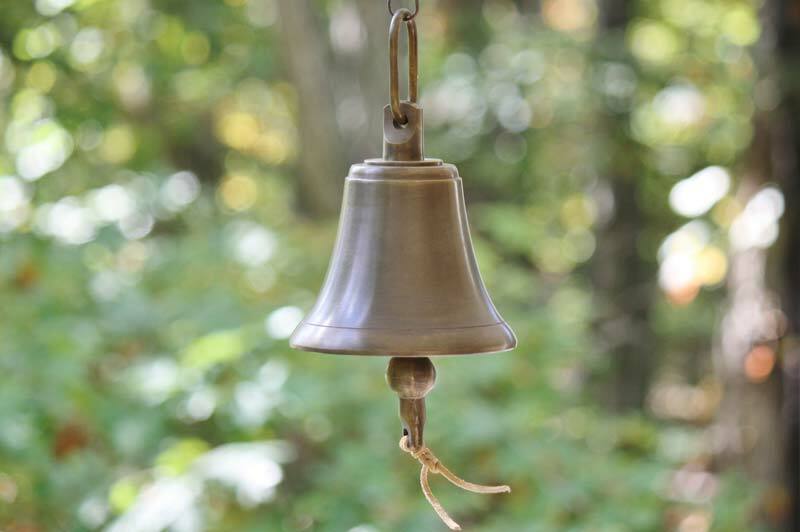 This large brass bell makes a loud, clear ring. The antique finish adds an old fashioned touch to any porch, entry way, or garden. The bell has a sturdy hanging loop and a rawhide pull. Product made in America.